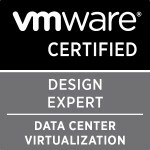 Due to my decision to aim for my VCDX6-CMA this year and thereby to get it in in time for the only VCDX-CMA defence of the year (so far) I have signed up for the VCAP6-CMA Design beta exam. I’ve been working on a very large-scale vRA 6.2 project for the past 14 months and so I hope this experience of designing and building it as well as my preparations via these objectives breakdown (plus my study resources) and using some of my VCDX5-DCV knowledge will help me. So I thought I would slowly post up each objective for my own benefit but also hopefully help other people looking to pass the VCAP6-CMA Design exam (beta or GA).I will be consolidating all the objectives on my blog page here. Analysing requirements and determining if they are functional or non-functional is the same method as you would do for the DCD or DTD exams. I mentioned in an earlier objective breakdown that if it is a constraint it is a non-functional requirement. Although the way I always did it for my DCD is that functional is when something should DO something & non-functional is HOW that something should be done. Scott Lowe covers them nicely in his vSphere Design Trainsignal videos. This I’ll take it that you will be given non-functional requirements such as the usage of certain storage or networking or a front end portal and have to include it in a Visio style diagram. So using the storage one they might say they have iSCSI storage and you have to ensure you have it designed correctly for the usage of this storage. Just like I covered in a previous objective you have to take down the objectives in a number of design workshops and interviews and now that they are defined and are accurate and signed off you can apply this into a logical design. So for example if they have stated they want the solution to cover two sites then you will design for maybe a stretched cluster or two instances running with two clustered vRA appliances with one on each site and the underlying vRA infrastructure below it. The vRA reference architecture gives a great overview of different design outlines and methods. Really straight forward in my opinion. If they say that their environment has certain storage or number of sites or limitations of networking etc then incorporate that into the design. This will have all been collected from design workshops, current state analysis as mentioned in the previous objective and interviews with SME’s. If you disagree with anything I’ve said above then please let me know and if I agree (I’m always open to learning) then I will update the posting. Now onto objective 2.2. Categories: Automation, Certifications, vCAC, VCAP, vCloud, Virtualisation, VMware, vRA | Tags: automation, CMA, design, Logical, VMware, vRA, vRealize | Permalink.